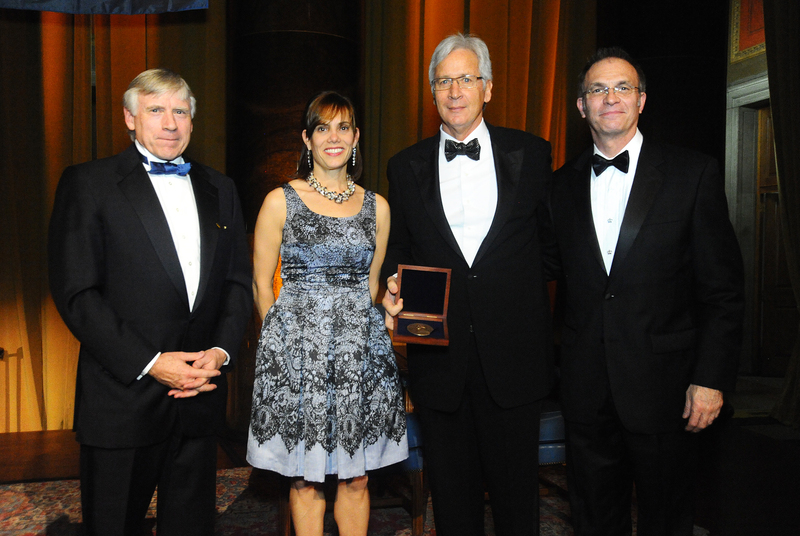 PHOTO: Eileen Barroso University Trustee Jonathan D. Schiller CC ’69, LW ’73 received the Alexander Hamilton Medal at a gala dinner in Low Rotunda on November 15. The medal, the highest honor paid to a member of the College community, is presented by the Columbia College Alumni Association for distinguished service to the College and accomplishment in any field of endeavor. Schiller was a member of Columbia’s 1968 Ivy League championship basketball team and was inducted, as a member of that squad, into the Columbia Athletics Hall of Fame. A Columbia basketball jersey bearing Schiller’s number 25 hung from the podium during the ceremony, and a vintage photo of Schiller in his playing days was on each table. Approximately 350 people attended the black-tie event, which raised approximately $850,000 for financial aid.